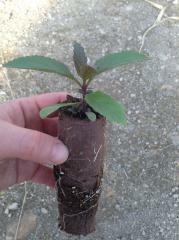 We use Ellepot deep plugs and trays to allow for a larger root mass. This means they are hardy and able to penetrate our tough clay Manitoba prairie garden soils. They will establish quicker, covering bare soil to discourage weeds.